Millionaire lawmakers won’t accept bribes, JP leader Gasim suggested. 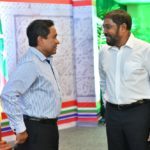 Leaders of the Maldivian Democratic Party and coalition partner Jumhooree Party exchanged barbs over the weekend as the campaign for the April 6 parliamentary elections entered its final stretch. The two main parties in the ruling coalition are competing against each other after the MDP decided to field candidates in all 87 constituencies. After accusing the MDP of reneging on an agreement to divide seats among the four coalition parties, the JP made a deal with the opposition to back each other’s candidates in most constituencies. On Friday, JP leader Gasim Ibrahim stirred controversy with an appeal to elect “millionaires” to parliament. Gasim, one of the richest men in the country, suggested that wealthy lawmakers would be less likely to accept bribes. “What will happen when a candidate who is unable to make ends meet wins a parliament seat? 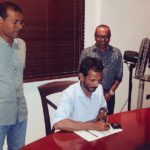 They will try to fill their own pockets or work in their own interests,” he said at a rally for the JP’s Dhagethi constituency candidate. 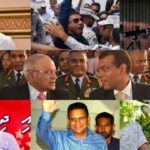 The remarks came in response to former president Mohamed Nasheed’s repeated appeals to free parliament from the influence of wealthy businessmen. 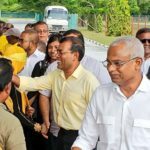 Nasheed, the MDP’s leader and candidate for the Central Machchangoalhi constituency in Malé, retorted at a rally on Saturday night. 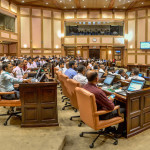 “When he is a millionaire, that’s when there is a conflict of interest,” he said, adding that lawmakers with business interests would oppose some of the MDP’s key pledges such as introducing an income tax. Citing the mistreatment of foreign workers, Nasheed suggested resort owners would oppose legislating a minimum wage to incentivise hiring locals. “The foreigner is employed by resorts because he is cheap. It will be much cheaper if they bring slaves,” he said. 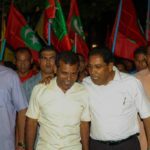 Last week, Nasheed criticised the JP’s alliance with the opposition Progressive Party of Maldives-People’s National Congress coalition. The parties together cannot win even six seats, he declared. 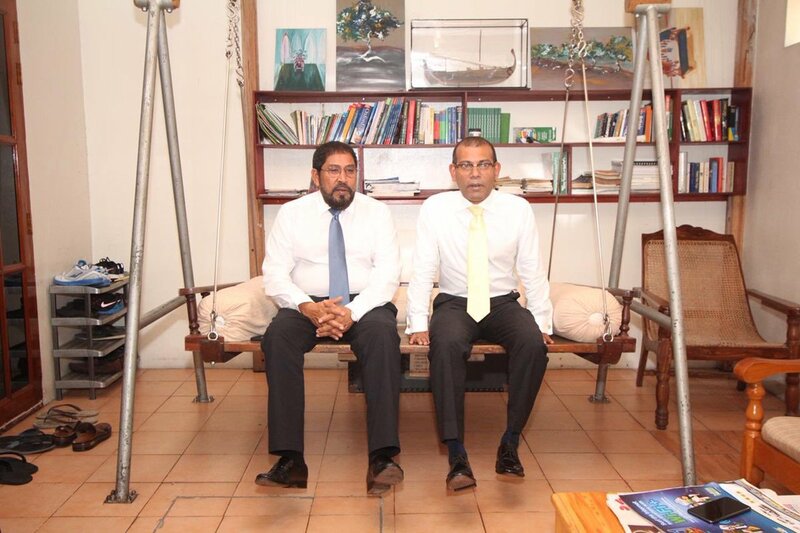 Hitting back, Gasim attributed the remarks to the MDP’s “lack of confidence” in winning on its own. Referring to the PPM’s majority in parliament during former president Abdulla Yameen’s five-year term, Gasim stressed the need to have opposition lawmakers to exercise oversight over the executive. “The government cannot be held accountable without having enough lawmakers in the opposition. We saw what happened yesterday,” he said. Despite the alliance with the PPM-PNC, Gasim assured the JP’s support to help fulfil the coalition’s manifesto pledges and denied any rift with the president. “We have joined hands with the government and we stand with Ibrahim Mohamed Solih to do everything we can,” he said. But Gasim, who was elected speaker of parliament after September’s presidential election, has been at odds with Solih over key pieces of government-sponsored legislation. Earlier this month, he admitted holding up bills on regulating the legal profession and granting investigative powers to presidential commissions. Asked about Solih’s criticism over the failure to pass the bills despite the ruling coalition’s majority, Gasim concurred with opposition lawmakers that granting legal powers to presidential commissions was “unconstitutional” as it would undermine the authority of existing law enforcement agencies and “duplicate” their powers. Last month, Gasim refused to call a vote on the presidential commissions bill after it was tabled in the agenda for the fourth time. Three previous attempts to put the bill to a vote were thwarted by a lack of quorum due to the absence of several lawmakers from the JP.